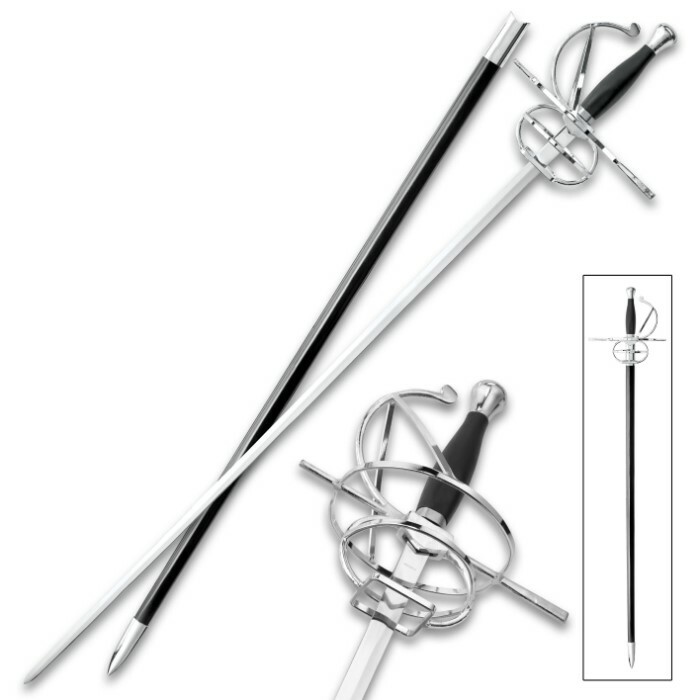 Inspired by the days when disputes were settled honorably and swiftly with a sword duel at dawn, our Dueling Rapier Sword is a perfect historical reproduction. The intricate and striking basket-style guard, which is customary for the time-period, is crafted of polished metal alloy. The 36 1/2”, 420 stainless steel blade has the traditional rapier slim profile and the handle is made of a sturdy metal with a black ABS grip. 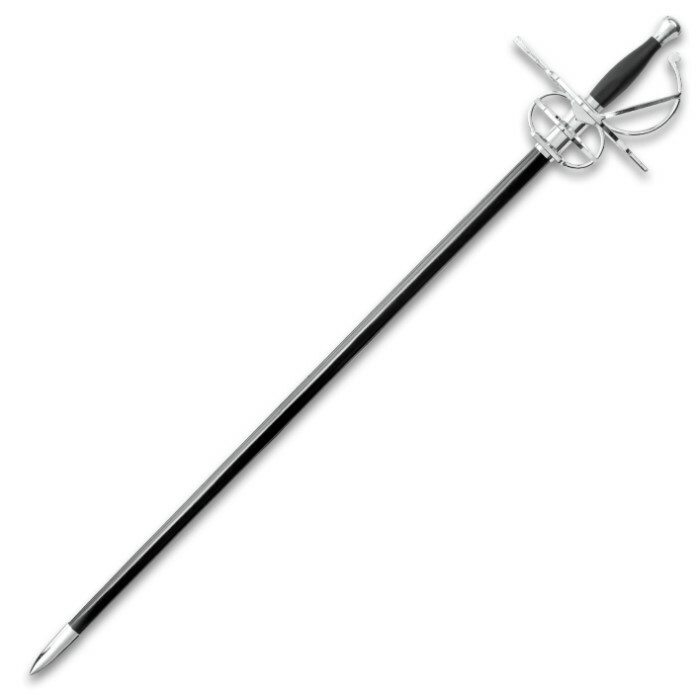 A black wooden scabbard with metal accents houses the blade of this magnificent rapier sword. 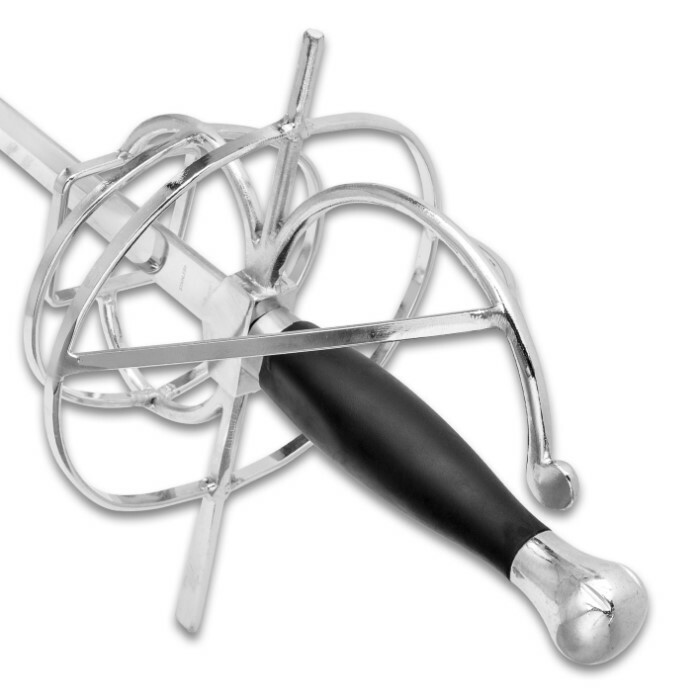 If you’re a collector of historical swords, then you absolutely need to add the Dueling Rapier Sword to your collection! 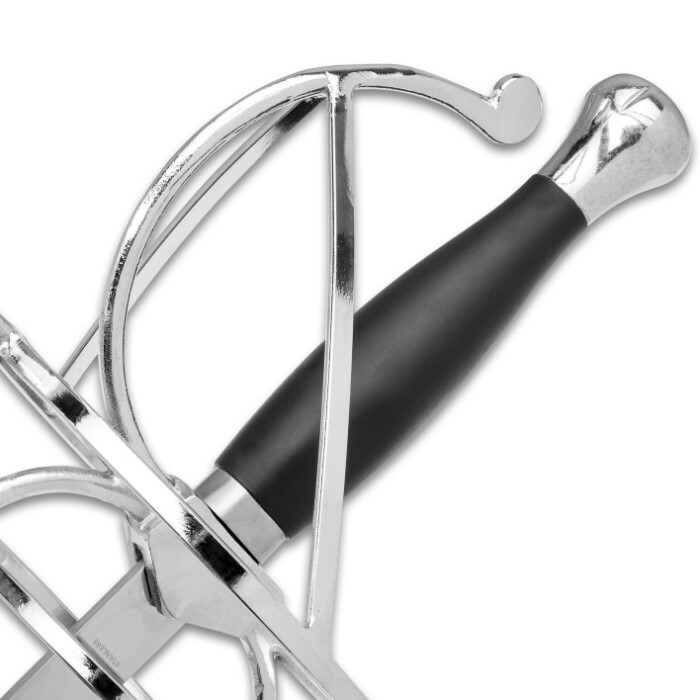 This sword is a fair representation of a rapier. The hilt is huge! You will have to make or buy a "frog" to carry it with. More of a wall hanger though as no sharp edges and a relatively blunt tip.